2018 Coachmen Leprechaun 260DSC Class C Motorhome. Everything you need to enjoy spending time with family and friends away from home can be found in this Leprechaun class C gas motorhome. 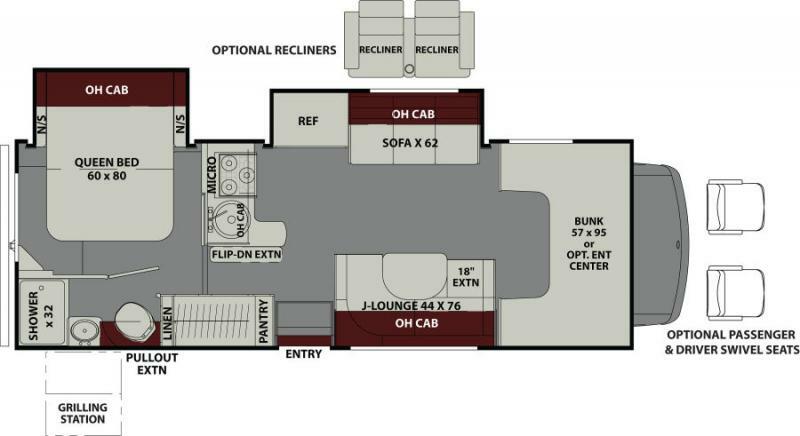 Model 260DS provides double slides for added room inside, a cabover bunk, and a rear bedroom plus complete bath.